Metro Atlanta’s BEST Mobile Birthday Party! Check out our Tailgate Party Trailer, too! 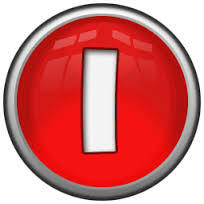 And it comes RIGHT to YOU! 20 can play inside at once! 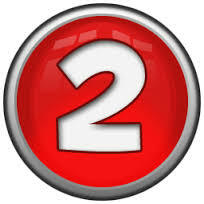 That means 28 can game at one time! It's always comfortable in here! And the greatest gaming consoles! Even camo-face paint for the "warriors!" We can also set up at parks, schools, or even inside! Book your Xtreme Fun On Wheels party today! 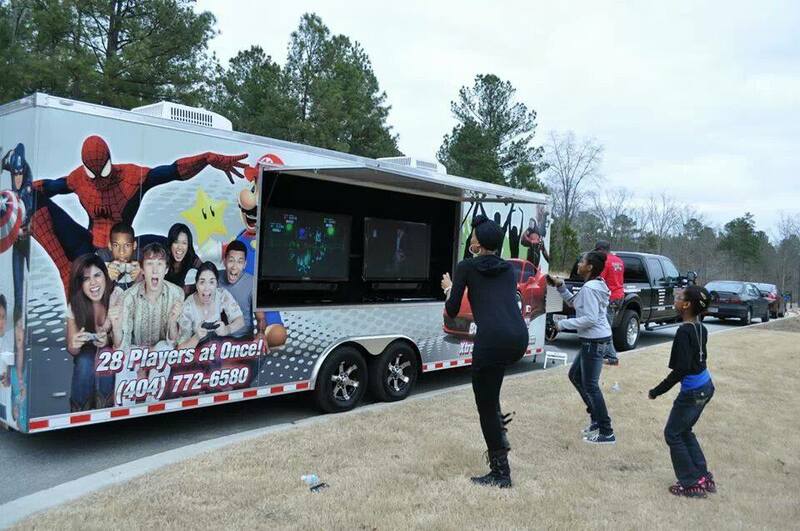 Xtreme Fun OnWheels brings the Ultimate Gaming experience right to your front door! Our luxury, limo-style theater on wheels features Five HUGE widescreen high-definition TVs inside, with surround sound and and awesome lighting! Two more High-Definition screens outside…it’s a multiplayer video gaming heaven! 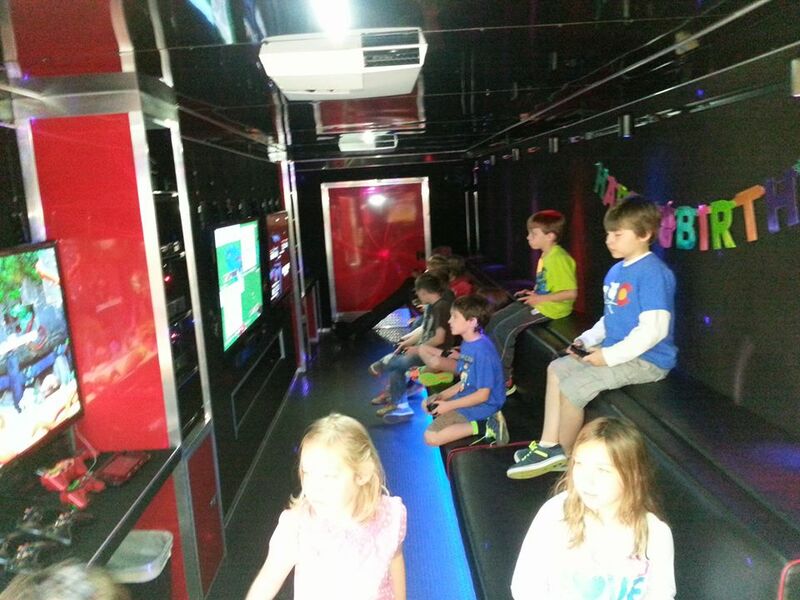 20 can play at the same time inside our amazing video game truck, and (weather permitting) 8 more can play outside! We can fit the whole crowd…stadium-style seating allows up to 24 guests inside! We have the greatest games and the best consoles! Summer or Winter, day or night, it’s always comfortable in here…we are climate controlled, and with our on-board generator, we’re self-powered, too! Our Game Coach will make sure the kids have a blast and the parents get a break! Our amazing mobile video game trailer will blow your guests away! We have the best birthday party idea in all of Metro Atlanta, McDonough, Locust Grove, Hampton, Jackson, Stockbridge, Griffin, Conyers, Henry County, Dekalb County, Fayette County, Newton County and Spalding County! More about our Video Game Truck here. 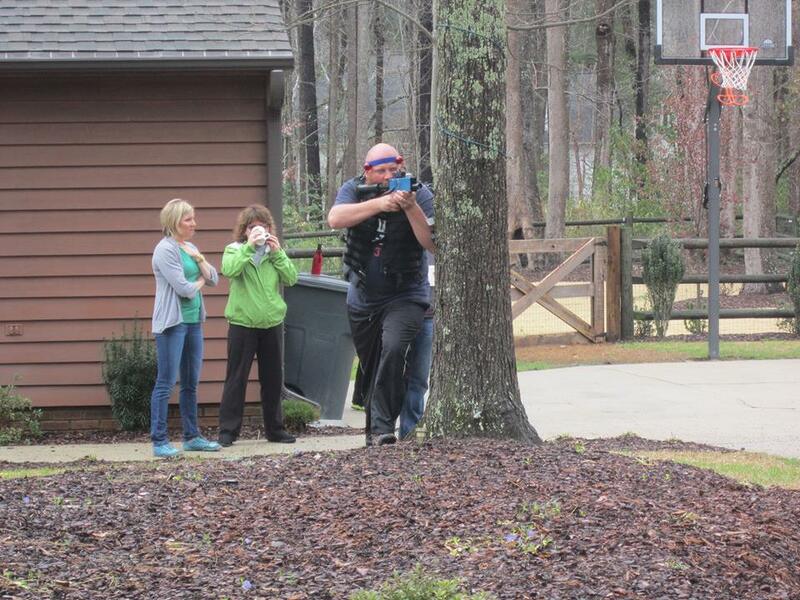 The best laser tag place in metro Atlanta is the one that comes to you! You get all the fun and excitement of laser tag and paintball combined into one, without having to deal with other parties or people at laser tag centers or the pain and mess that comes with paintball. Xtreme Fun On Wheels is completely mobile, so we come to you! Imagine how your guests’ faces will light up when they see the paintball-style course and the true paintball-style guns. We set up the complete course at the location you pick out. Your birthday boy or girl will be the envy of all their friends! outdoors in the woods, an open field, a park…even at the beach! We have the best laser tag party idea in all of Metro Atlanta, McDonough, Locust Grove, Hampton, Jackson, Stockbridge, Griffin, Conyers, Henry County, Dekalb County, Fayette County, Newton County and Spalding County! More about our Laser Tag Parties here.